I am again focusing on the famous, the forgotten and the misbegotten for Round 24 of the popular ABC Wednesday meme. But finding suitable characters is getting harder, so apologies in advance if there are repeats of previous posts. One of the iconic moments of the modern era took place on 12 April 1961 when Yuri Gagarin became the first man in space. But was he? 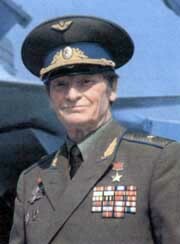 Or does that honour belong to Vladimir Ilyushin as the conspiracy theorists would have us believe? 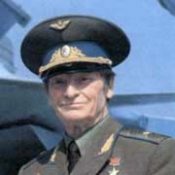 Vladimir Ilyushin was the son of Sergei Ilyushin, the pioneering aircraft engineer responsible for some of the most famous Russian military aircraft and deputy of the Supreme Soviet from 1937 to 1970. 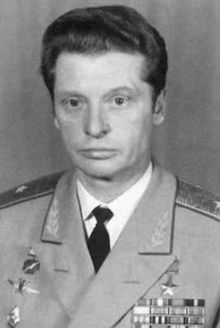 The younger Ilyushin was born in 1927 and became a noted test pilot and later a Soviet general with a long list of honours and awards. However, his claim to fame is the persistent belief among some that it was he who was the first man in space and not Gagarin. The rumour began two days before Gagarin left the earth’s atmosphere in Vostok I when it was announced that Ilyushin had been seriously injured in a car accident. The Communist-sponsored newspaper, the Daily Worker, claimed that this was really a cover-up for an earlier orbital spaceflight that had gone wrong. The conspiracy theory grew and those ‘in the know’ said that Ilyushin had been the first man in space on 7 April 1961, but that he had gone off course and crash-landed in China where he was held prisoner for a year before being released after the Chinese agreed to go along with the Gagarin story. 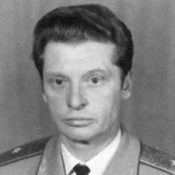 Ilyushin would certainly have been a prime candidate for the Soviet space programme given his background and a former CIA space analyst described him as ‘a shoo-in for the first flight into space’. The mundane reality though is that Ilyushin was not part of the Russian space programme and had indeed been involved in a serious car crash. And there was no earlier manned space flight, despite the so-called secret documents that investigative journalists claim to have uncovered. Ilyushin died in 2010 at the age of 82 soon after the film Fallen Idol: The Yuri Gagarin Conspiracy was produced, presented by Elliot Gould who was presumably chosen to reprise the role of the sceptical journalist that he played in Capricorn One. 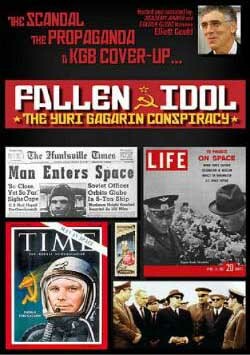 The film was really just a rehash of Secret Space: The Cosmonaut Cover-up produced in 1999 which I include below for interest if you have time to watch it. Alternatively, you might prefer to read this Space Review article which debunks the whole conspiracy theory. well, I guess the mystery has been solved – but that history hasn’t forgotten Ilyushen does seem kind.